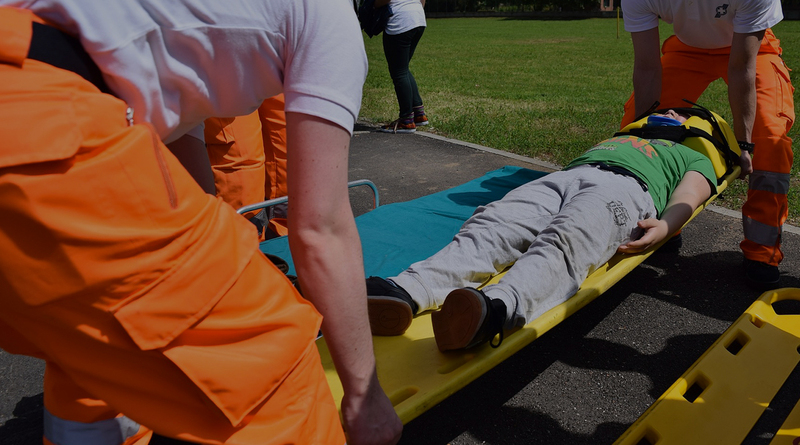 Regions that manage First Responders using Momentum get better survival rates. It's scientifically proven. Increased survival rate in case of cardiac arrest. Sudden cardiac arrest (SCA) is one of the most frequent death cause. Chances of survival increase if somebody performs cardio- pulmonary resuscitation (CPR) to the patient within 5 minutes from the event. First responders are laid responders trained to perform CPR and use AEDs. Momentum is already used in several regions to coordinate and engage first responders in case of out-of-hospital cardiac arrest. 112 dispatch center receives a call related to a cardiac arrest. First Responders need to be alerted and instructed. Based on their availability to intervene, First responders can accept or refuse the mission by simply using Momentum Mobile App. A patented algorithm makes a further selection among responders. Momentum picks only the First responders closer to the patient than the ambulance. First responders run to the emergency site and perform CPR. Early resuscitation improves survival rate while the dispatch center keeps monitoring the situation. Responders arrive on site in a reduced amount of time. 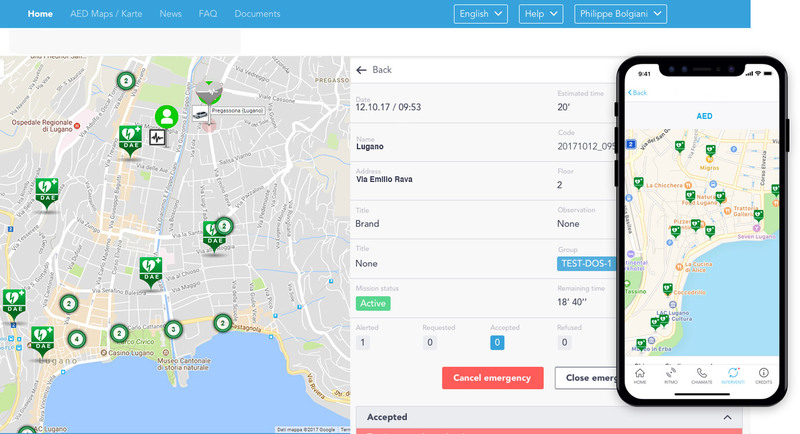 Momentum can be integrated to your dispatch center software so that first responders are automatically selected and alerted by a patented algorithm. It’s science and it works. Scientific papers show how Momentum improves survival rate in case of out-of-hospital cardiac arrest. Momentum lets you easily find the nearest Automated External Defibrillator (AED). Just open the AED Map on Momentum mobile App and see where are AEDs located.